Before we talk about these sugar cookies, I just want to say that being a dog mom is tough. And being more obsessed with Arnold than he (sometimes) is with me makes for a lot of rejection. For reals. Like yesterday, the hubs was watching the NBA opening season game and Arnold wasn't having any of it. I don't think he likes the whistles and the squeaking of the shoes on the court - so he goes upstairs. I go upstairs to cuddle him and he immediately goes back downstairs. I putter around for a bit and then head back downstairs. He gives me the stink eye from his dog bed and makes his way back upstairs. Total and utter rejection. If he could talk, he would be telling me that my kisses and cuddles are embarrassing, and that for God's sake he is a dog with some dignity and can't I just respect that? Sigh. Moving on from my night of rejection - let's talk old-fashioned sugar cookies. I have always been more of a it has to have chocolate in it to be a good cookie kind of gal, but over time (ahem, as I've gotten older) I appreciate a nice sugar cookie now and then. 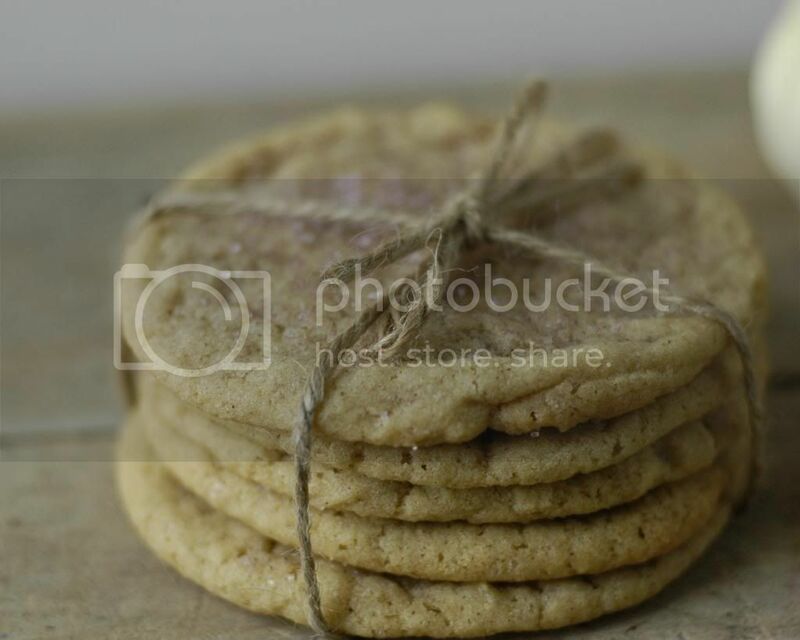 I have a soft spot for sugar cookie cutouts, but these old-fashioned sugar cookies will please just about anyone. The original recipe calls for lemon zest, but that just seemed so three months ago (aka when leaves were still on the trees). So in the spirit of all that is fall and fabulous, I added cinnamon and cloves instead, and swapped out the light brown sugar for dark. The outcome was divine. A soft, chewy, flavor-packed cookie that you could easily eat A LOT of. There, you've been warned, and I cannot be held responsible if you eat the entire batch. These cookies are perfect for fall and I am telling you that you need to go out and make them right now. You'll thank me, I promise! Oh, and Happy Halloween too of course! Sift together the flour, baking soda, and salt into a bowl and set aside. 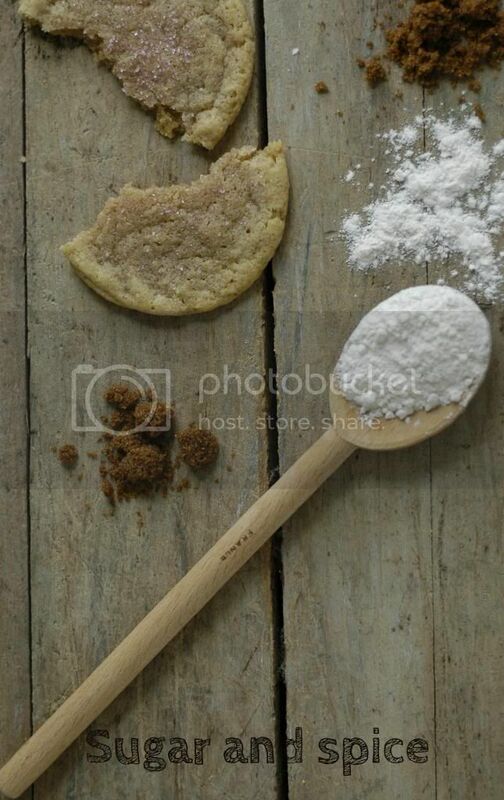 Put the sugars, cinnamon and cloves in the bowl of an electric mixer fitted with the paddle attachment. Mix on medium speed until just combined. Add the butter; mix until pale and fluffy, about 3 minutes. Mix in eggs, one at a time. Reduce speed t o stir and gradually add the flour mixture until just combined. The dough will be thick and you don't want to over mix! Scoop the dough using a 2-inch ice cream scoop (or any size you choose depending on how big you want your cookies). Space accordingly. 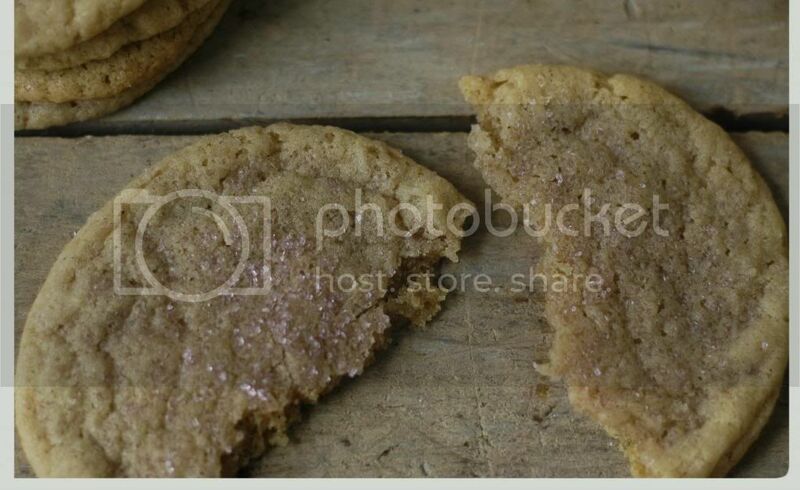 Flatten cookies slightly with a spatula or your palm and sprinkle with sanding sugar. Flatten ever so lightly again and sprinkle with more sugar. Bake cookies until edges are golden, about 15 minutes. Let cool on sheets for 5 minutes and then transfer to a cooling rack.